Have questions about the fishing, the weather, traveling and more? Here are our usual answers. If you want to dig a little deeper, please feel free to give us a call at (406) 542-7411. With an elevation just over 3,000 feet, Missoula boasts the longest dry fly season on free stone streams in all of Montana. Our hatches start around the middle of March and run straight through the middle of October. In light of our diverse and prolific waters, we feel confident we can find somewhere to fish any time during that period. If you have specific angling requests (only casting dry flies to rising fish, pitching streamers for the rivers’ biggest fish, or drifting dries the size of small birds, etc.) call us and we’ll help you decide which time of year suits your desires. Okay, okay, no one can fish 24/7. Fortunately, the Missoula area’s accommodation options are as varied as our rivers and able to match any level of sophistication or budget. BRO negotiates great rates at local hotels, can direct you to area rental cabins, and conducts trips out of the area’s finest bed and breakfasts and lodges. Many of the area hotels also offer an airport shuttle as well which could eliminate the need for a rental car. Our guides will meet you at any Missoula area hotel each morning and drop you there after if you decide to forego the rental car. Missoula is pretty easy to fly into and the airport has been recently remodeled. Depending on which of our major airlines you choose — Frontier, Alleigant, Delta, United or Alaska — you’ll fly through Minneapolis, Salt Lake City, Denver or Seattle to get here. The number of flights varies by season, but there are usually multiple options on each airline. Frontier even offers a non-stop flight from Denver to Missoula during the summer months. Click Missoula International Airport for more information. Our typical full day begins with meeting clients around 8:30 a.m. and returning to Missoula around 5:30-7:00 p.m. Half-day anglers expect to be on the water for four to five hours. BRO guides will fish as long as you want, but come gratuity time please remember the guide’s extra work following an extraordinarily full day. Western Montana is laced with literally hundreds of miles of rivers, creeks and lakes (400 river miles within an hour’s drive of Missoula). And our guides know them well. Generally, we take you where the fishing has been hottest. But if you have a special request – like fishing big streamers to big fish or sight fishing lakes for cruising rainbows – let us know. We’ll pick the right piece of water for the fishing you want. Quality gear is a big part of a good fishing experience. If your gear is a little out of date or you just haven’t gotten around to buying some, don’t worry. Blackfoot River Outfitters provides everything needed for a quality day of guided fly fishing. 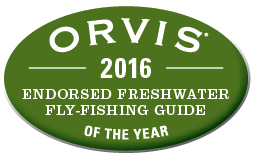 Your guide will have rods, reels, flies, a great riverside lunch and beverages. The only thing you need to bring with you is a Montana fishing license. 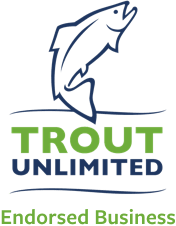 There are four main species of trout in Western Montana — rainbow, brown, cutthroat and bull trout. Each has its particular allure. Rainbows are strong, acrobatic fish. Cutthroats take dry flies readily and are among the Rockies’ most beautiful species. Browns grow large and fight hard. And bull trout are big, predatory and undeniably magnificent. Depending on the water you fish, there is the potential to catch all four species, plus whitefish, cutthroat/rainbow crosses and even a brook trout or two. No matter what we catch, we release it. Our guides are experienced at handling trout and ensuring that we stress fish as little as possible. Because no matter how good a fish looks in your hands, it looks even better swimming. Click Montana fishing license and you’ll be all set. Be sure to bring a printed copy of your license on any guide trip.